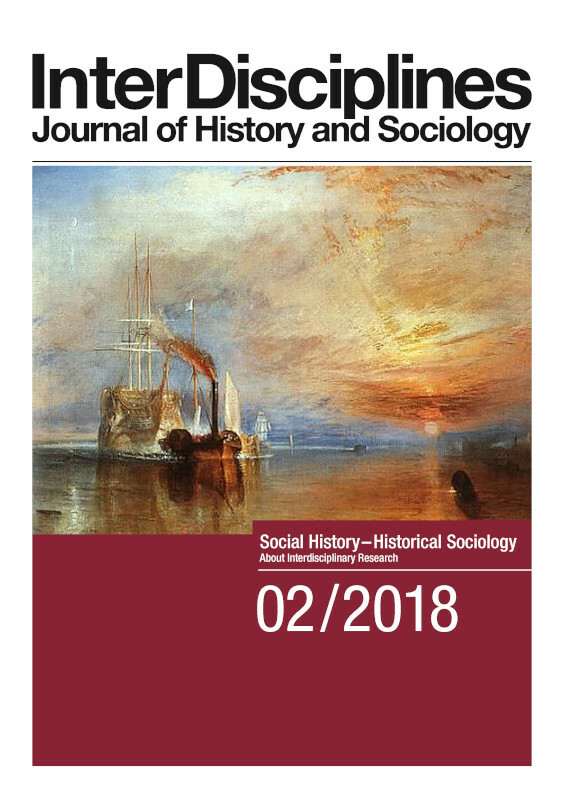 The following article discusses the relationship between materiality and sociality, and more precisely that of an item of clothing–the hoop skirt–and a polite gesture–holding doors for others–applying a historical procedural perspective. After some introductory remarks on holding doors for others as a polite behavior, the history of the hoop skirt is reconstructed as a sequence on the basis of a methodology of processual explanation and is described as a process using Georg Simmel’s fashion theory. Subsequently, a history of politeness is reconstructed as a sequence and explained as a process using Norbert Elias’s theory of civilization. The hypothesis that the gesture emerged due to the exorbitant size of the hoop skirt, which made it necessary to hold doors for women wearing them, will then be plausibilized by a complex reconstruction that parallelizes both sequences in a temporal and social dimension. In addition to the temporal presumption that the gesture appeared in conduct books after the emergence of the hoop skirt, both fashion and politeness present similar reference problems in terms of differentiation in society, inclusion and authenticity. Furthermore, this argument serves as a possible example of a symmetry between materiality and sociality.